If you are going to deliver a sequel to a movie, 14 years after the best and most influential film in the franchise, ensure you make it different. Terminator Genisys isn’t a remake or really a reboot, instead it is a carbon copy of the more familiar elements of the older movies, glossed-up, younger and shinier than before. To its credit, it doesn’t start that way. 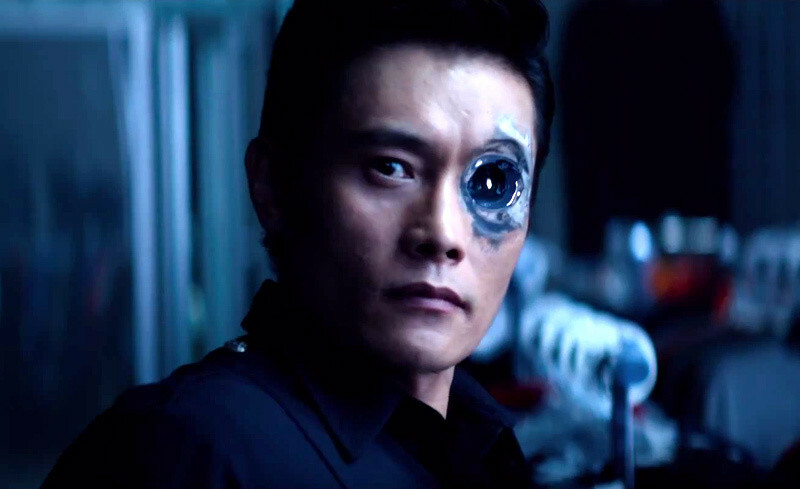 The opening future-war is impressive, introducing the best version of John Connor since Edward Furlong. Jason Clarke is a battle-tired, sombre but inspiring Connor, literally scarred by the war he is raging. It makes these future moments much more interesting than they have been in any of the previous films and I wanted to stay in this time much longer than allowed. The film quickly lurches towards the more familiar setting of the past, recreating faithfully events from past movies. In fact, this is one area the movie does brilliantly – the new Kyle Reese tracing the steps of the original Kyle Reese in the 1984 Terminator. Clever little visual cues and subtle changes makes this enjoyable for the more die-hard fans of the series who will appreciate them. When Sarah Connor is introduced and the T-1000, played with almost as much creepiness as Robert Patrick by Byung-hun Lee, is hunting the pair down, the movie is an action-packed, thrilling affair, with tension, close-calls and clever call-backs. The links to previous films are made extremely well, none more so than when Arnie’s ageing “Pops” takes on his original counterpart from the 1984 movie. These ideas are fresher, more creative and show much more promise than any Terminator sequel since Judgement Day. It is a shame that this is then undermined by the rest of the film which is nothing more than an updated Judgement Day. Sarah Connor and Kyle Reece travel forward in time to 2017 and must stop the machines destroying humanity while running from an unstoppable, oncoming threat – sound familiar? Although the location is modern and the way in which the machines are going to take-over has changed (explaining the awful spelling of the film’s title), much is the same and nothing is at all original. There are huge vehicle chases, this time a school bus and helicopter, and it ends in a nondescript factory, albeit one with less lava and more digital screens. Even the villain of the movie is much the same that we have seen before. It can recover quickly from gunfire, explosions and change its appearance, although only seems to change its clothes. Oh, and it’s John Connor! In the stupidest move a film trailer has ever made, the biggest reveal and one of the most shocking and potentially coolest moments in the film is needlessly ruined. It means that the whole scene which reveals this “for the first time” is undermined and loses the bait and switch you can see it trying to set-up. Once you do realise that it is him, he isn’t anymore menacing than any other Terminator villain we have seen before. Relentless, uncaring and (almost) unstoppable. The movie is offering the same beats we have seen before, and have been done much better. At least Jason Clarke is decent casting though. The casting of this movie is the biggest issue. The main problem is none of the characters can actually echo or live up to the previous incarnations. Emilia Clarke feels like a much weaker, smaller version than the strong, brutal character that Linda Hamilton developed. Jai Courtney is a brute, not the underdog from the first film played by Michael Biehn. The weirdest casting choice – Arnold Schwarzenegger. The ageing action hero feels forced into the role, still managing to hold his own impressively in the action-scenes but also undermining any threat from other Terminators as they get beaten up by a “machine” clearly in his 60s. There are attempts to make the film feel fresh, new and original. Clever twists involving both Matt Smith’s character and J.K Simmons are planted well but then discarded, maybe due to a cut-down script or maybe for the hopeful sequel, either is a shame. Regardless of these additions, it isn’t doing anything new and means that, even though it has a shiny, glossy coat, Genisys is ultimately pointless. 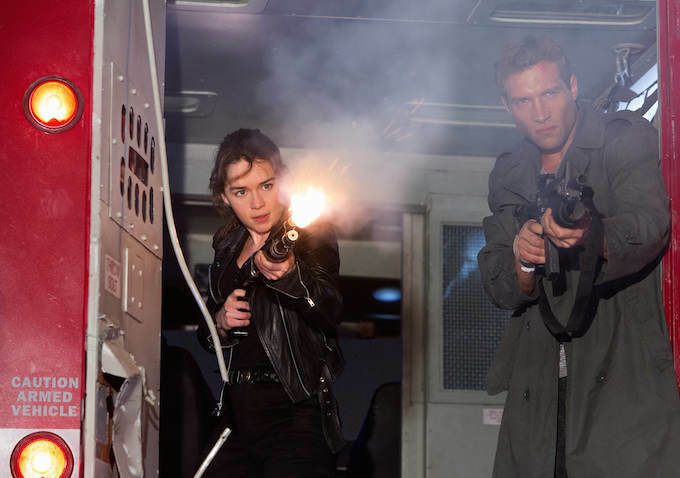 Overall, Terminator Genisys is an unnecessary sequel. It shows promise with the opening scenes, which tie-in closely and cleverly with previous films but then becomes the same chase movie that we have seen before. Any new additions which could freshen-up the franchise are either discarded early or have been spoilt by the ridiculous trailer. Strangest of all is the under-whelming cast and the inclusion of Arnold Schwarzenegger, who plays his role well, but undermines any threat the film tries to deliver. Some things just shouldn’t come to fruition. Make room for something original! Psst. I think you meant 24 years after the best film in the franchise. Closest to 14 was T3 with 12. But I actually really liked this movie and thought Arnold was one of the best parts, while I had a hard time initially buying Jason Clarke as John Connor. He was a definitely a “the more I think about it” choice for me. I did mean 24 years. Thanks for the heads-up. I’ll change it when I get the chance. Arnie is good in this but I think his presence stops it feeling fresh and jars against the other new, younger cast members.